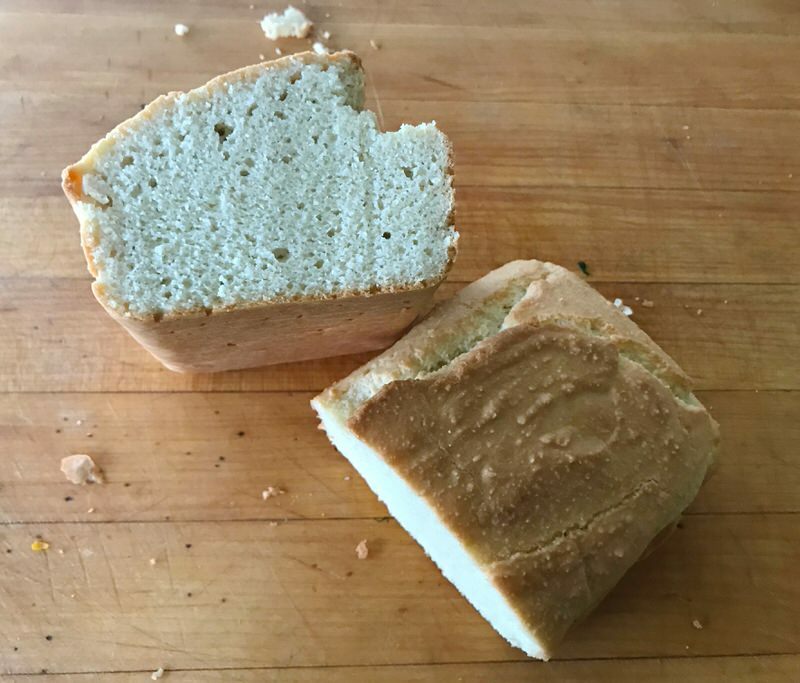 Keto Almond Bread: Talk About A Power Packed Slice! 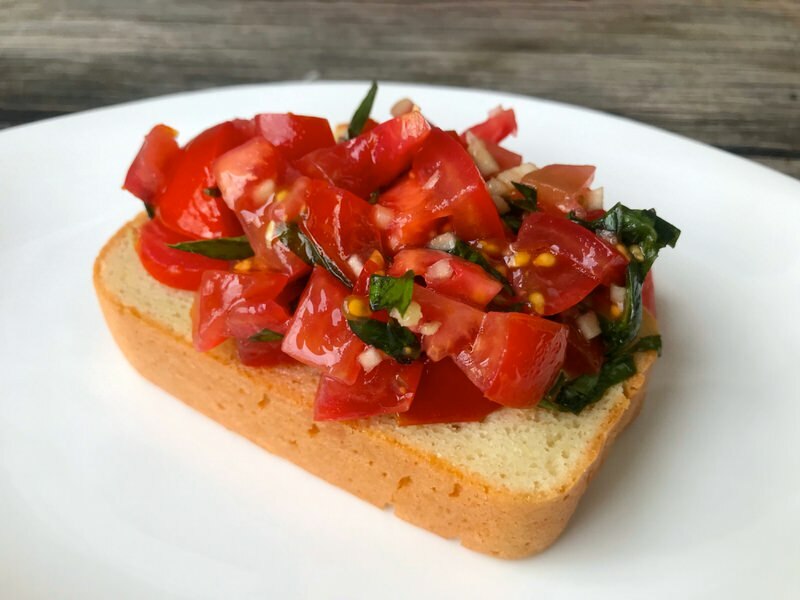 Keto Almond Bread sporting a lovely topping of Tomato Garlic Bruschetta is a filling meal for me. Imagine that! 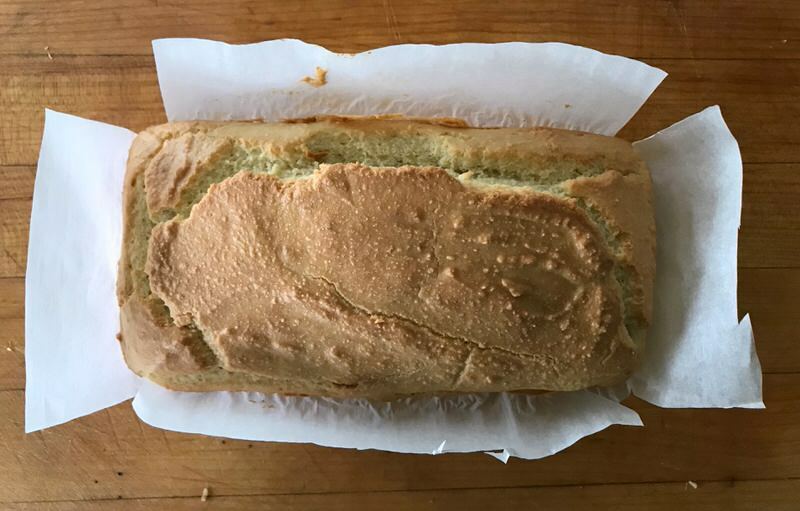 This is a slice of “bread” that definitely packs a punch. 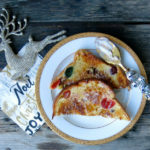 Bruschetta is one of my family’s favourite salads or toppings. 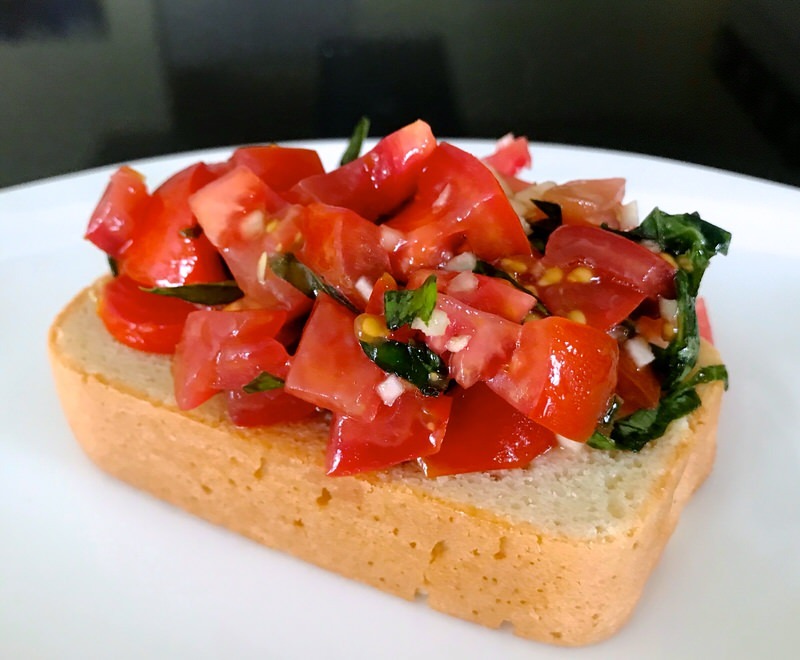 In Italy, bruschetta is the bread and the tomato salad is one of many toppings for the bruschetta. 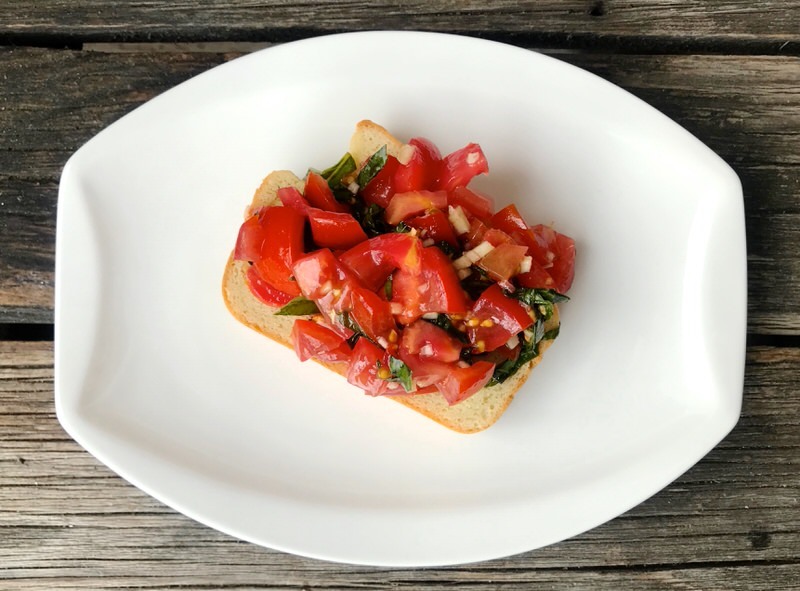 In Canada, for the most part, bruschetta is this rendering of tomato, basil, garlic, salt and a really delicious fruity olive oil usually served with crusty baguette slices. The combination of the crusty slice with the deeply delicious bright tomato-garlic-basil bite is consistently satisfying and somewhat addictive. 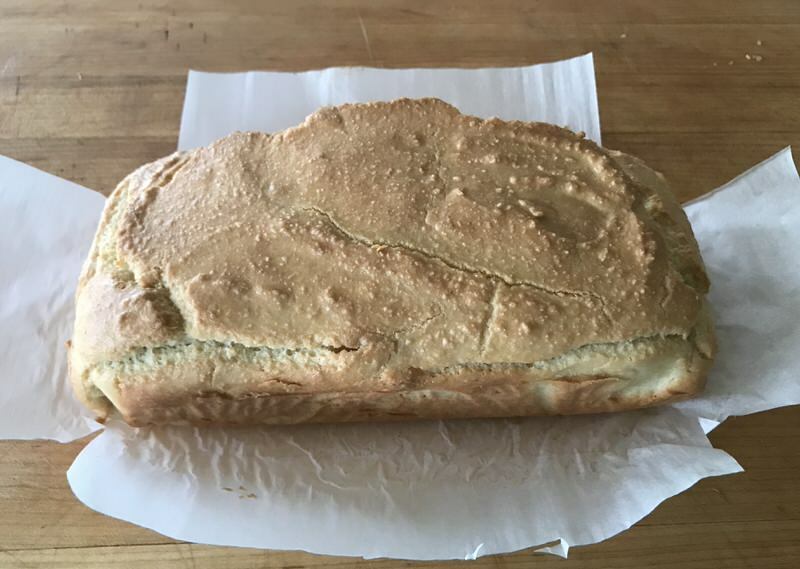 Trying to provide a great Evolv Health Total Reboot experience for my husband, Vanja, and my daughter, Ragan, during their first 28 days of this “rebooting your gut health” program, I was motivated to bake this “bread” and delighted with how it turned out! 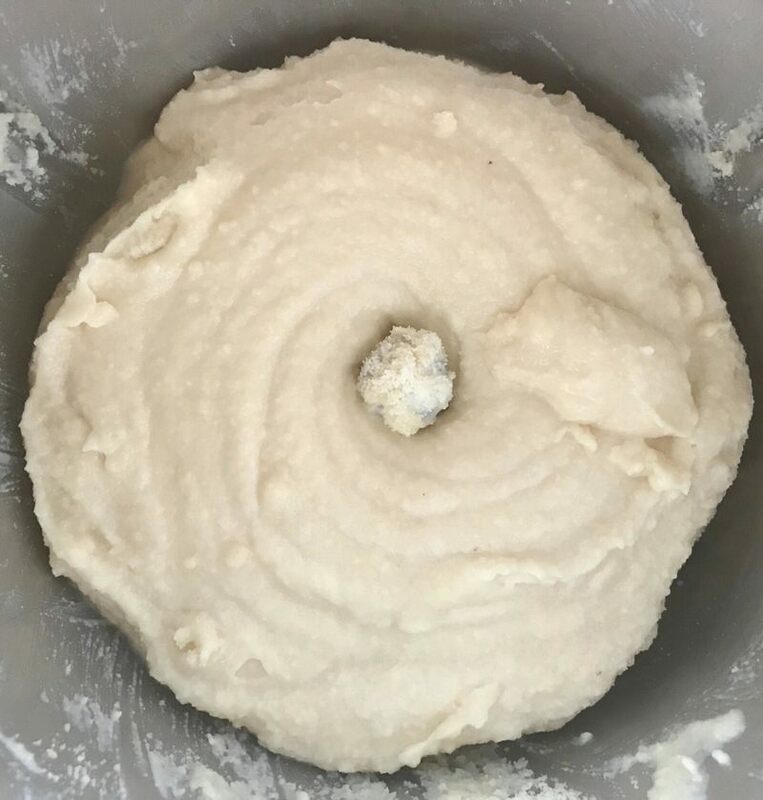 It looks like bread! 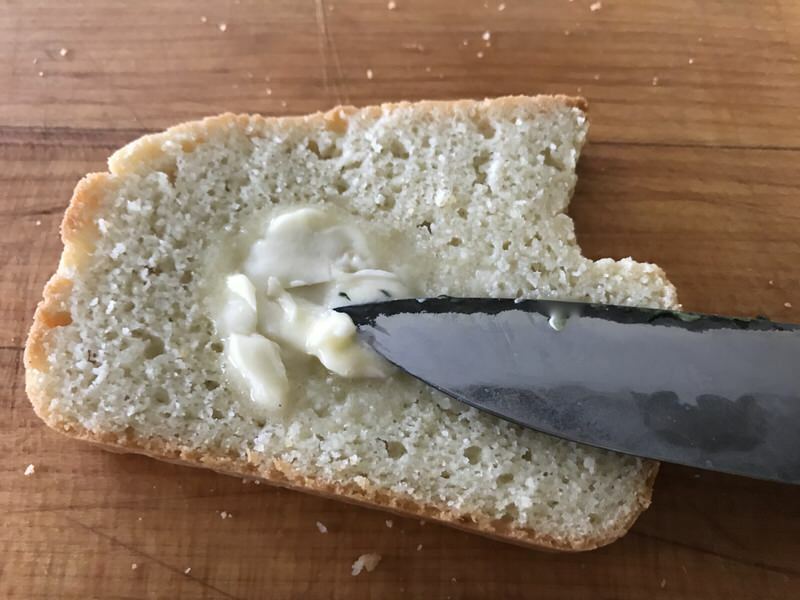 It definitely satisfies that “bread” craving, but don’t think that slathering a warm slice with butter will taste like freshly baked bread. 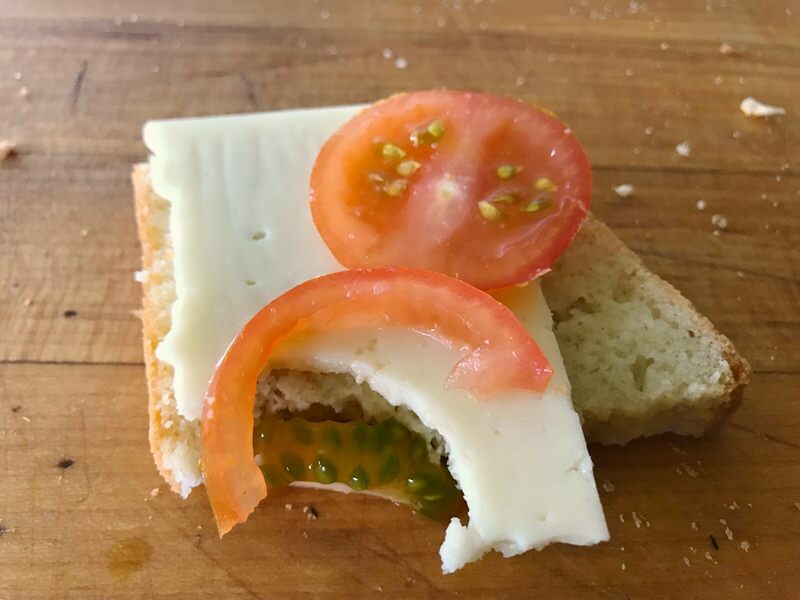 However, it is a welcome taste and texture experience with a slice of melted cheese, or sliced tomatoes, or the tomato bruschetta above which is my favourite. And why do I say it is a “Power Packed Slice”? 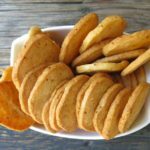 Each recipe provides 10 generous slices that come in at a whopping 226 calories each, 20 grams of fat, 8 grams of protein and 6 grams of carbohydrates. That is why this innocent looking little slice fills my tummy! 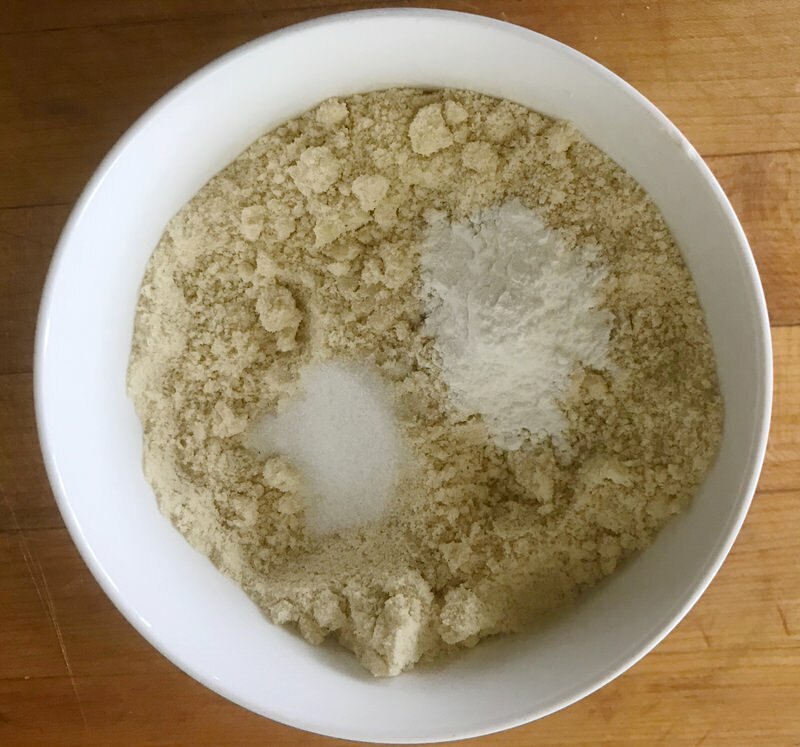 Simple Ingredients: Almond flour, eggs, melted butter, salt and baking powder. 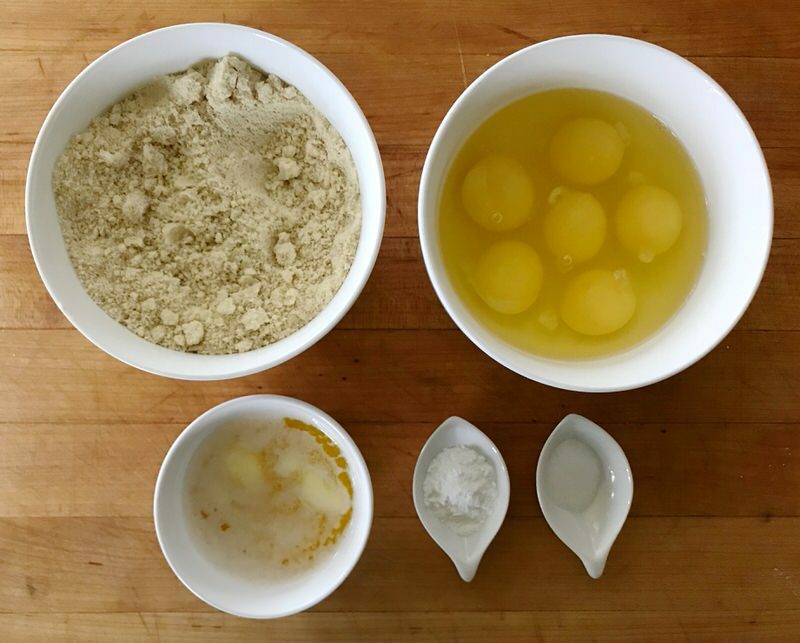 Combine the dry ingredients and let’s get started! 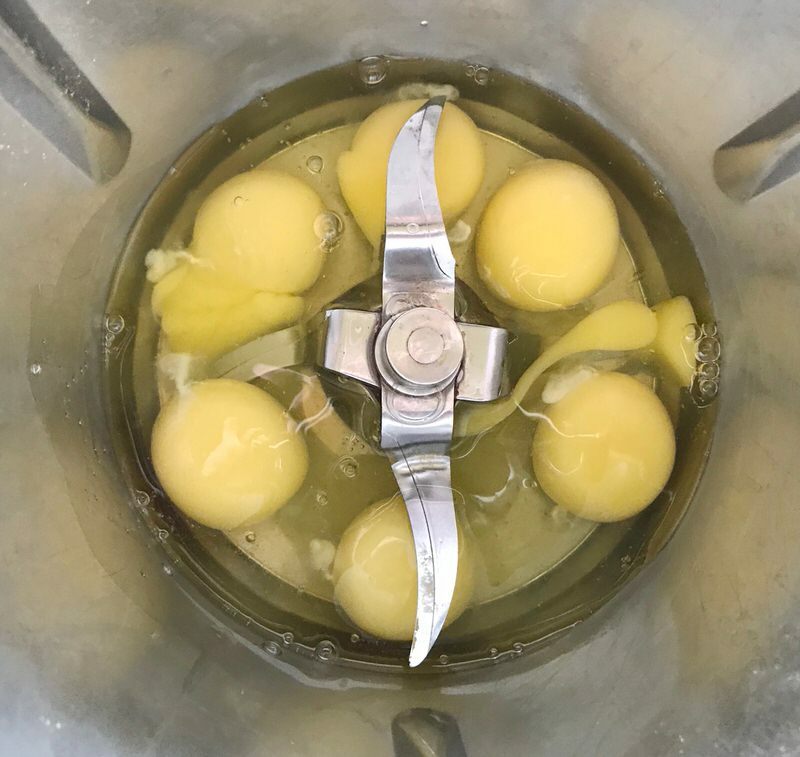 Of course, I’m using my Thermomix. 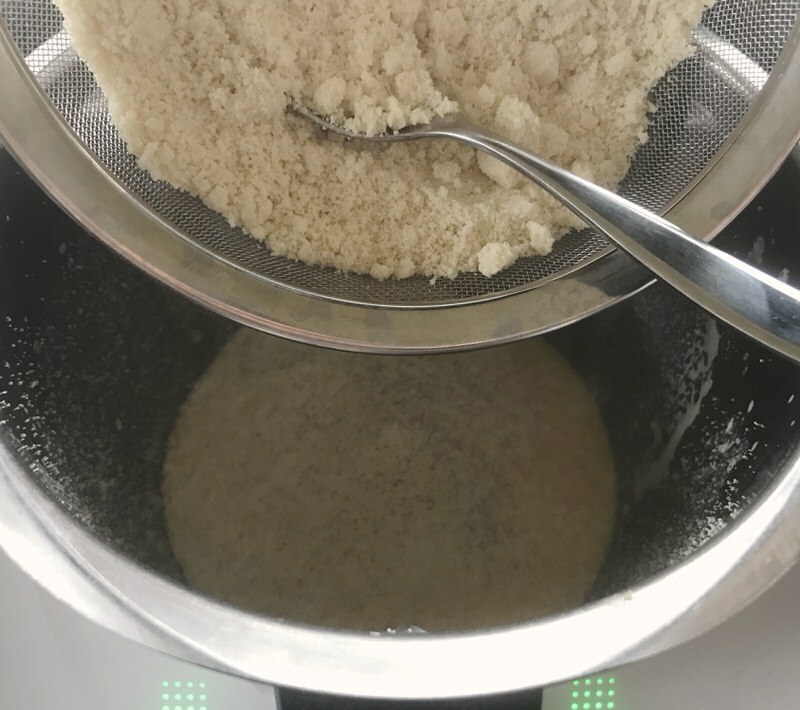 It is “the second set of hands” in my kitchen and whether preparing a simple recipe like this one, or a fancy dinner for guests, using it keeps me sane as it saves me time and enables consistent results every time. 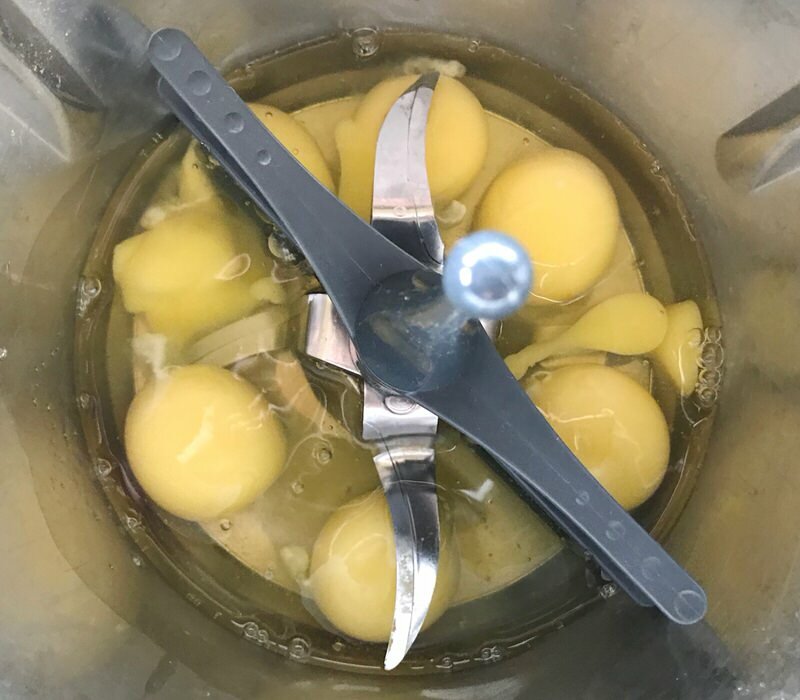 Eggs in, whisked, butter added and whisked again. 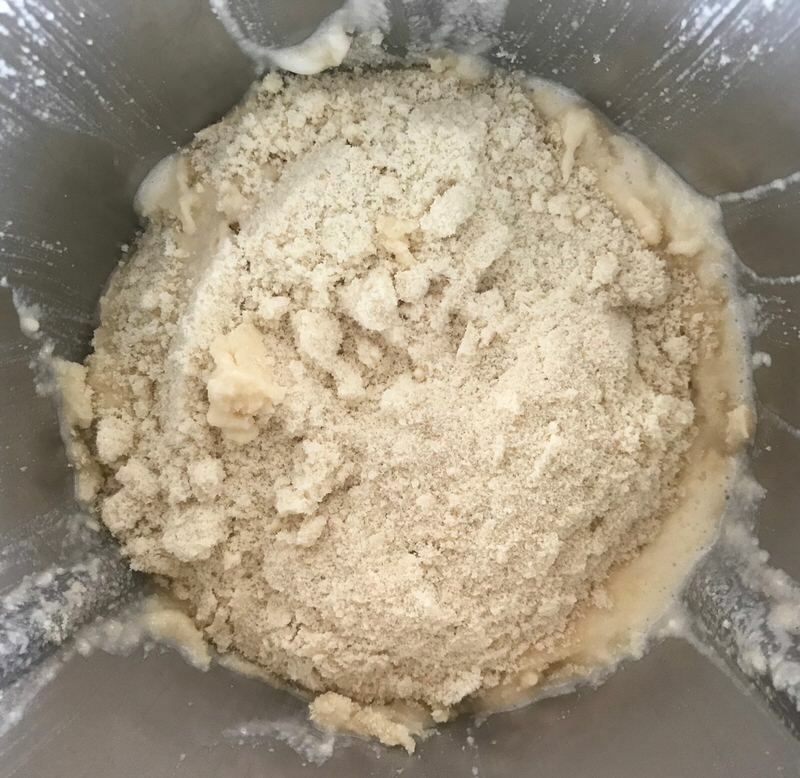 Dry ingredients are sifted together over the wet ingredients. 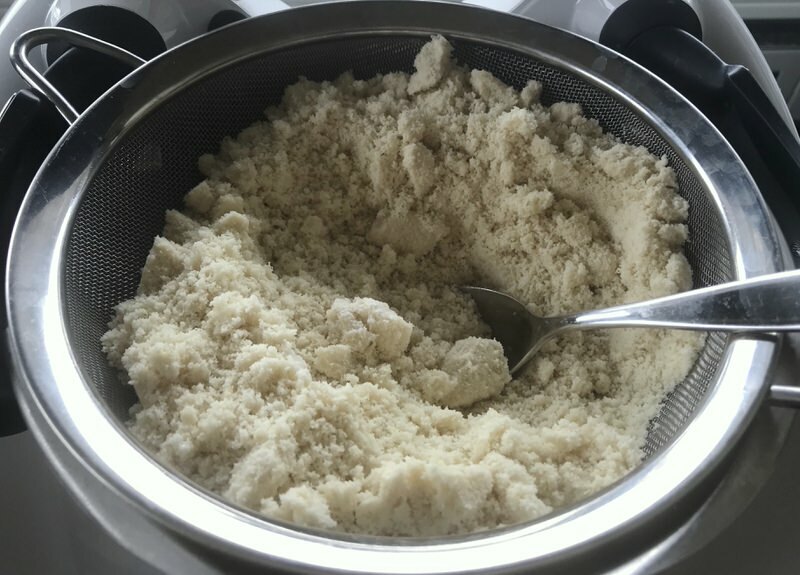 Only about 1/5th of the ingredients will sift through a regular sieve but that is fine. 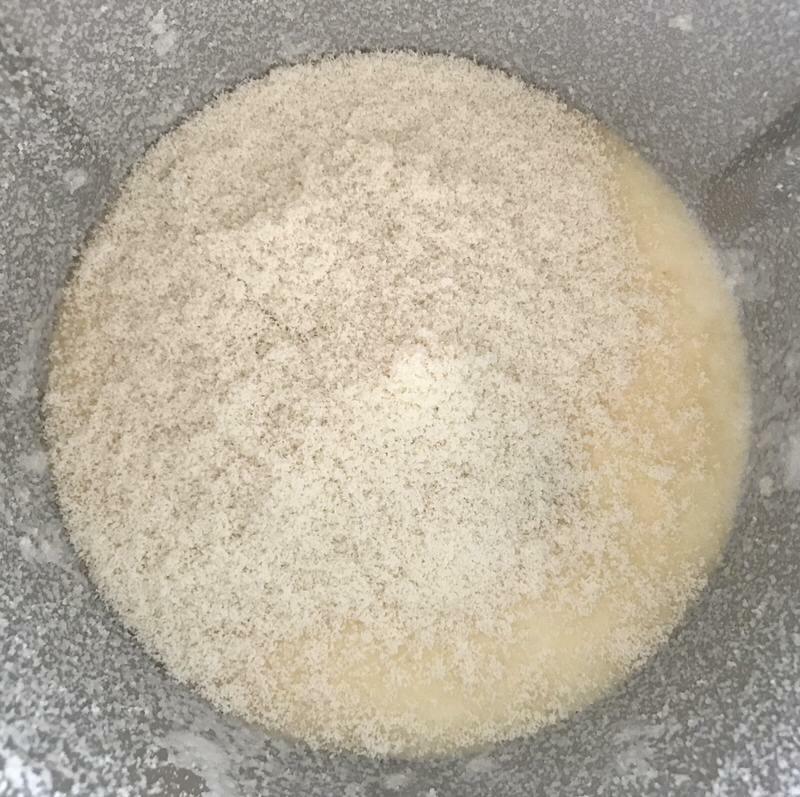 Above, left, the sifted ingredients over the wet ingredients. 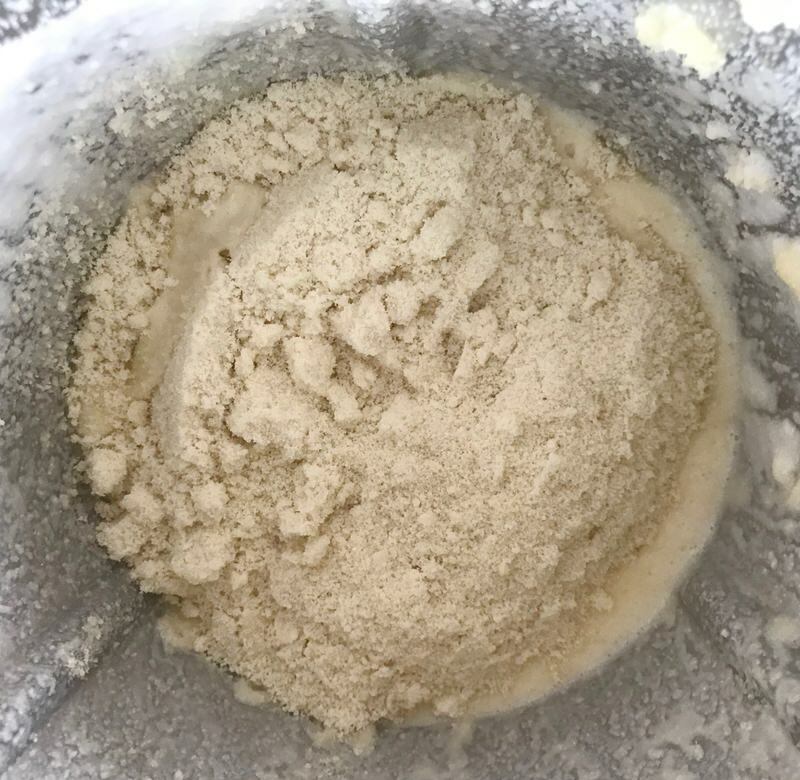 Middle, above, the remaining dry ingredients. 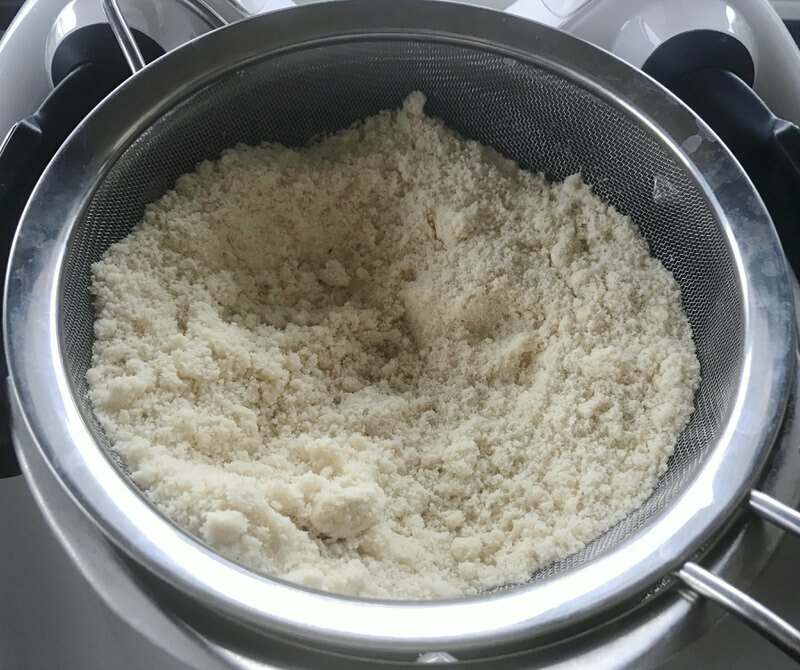 The mixture with the sifted ingredients is whisked, and then the remaining dry ingredients are just “dumped” in, below, left. 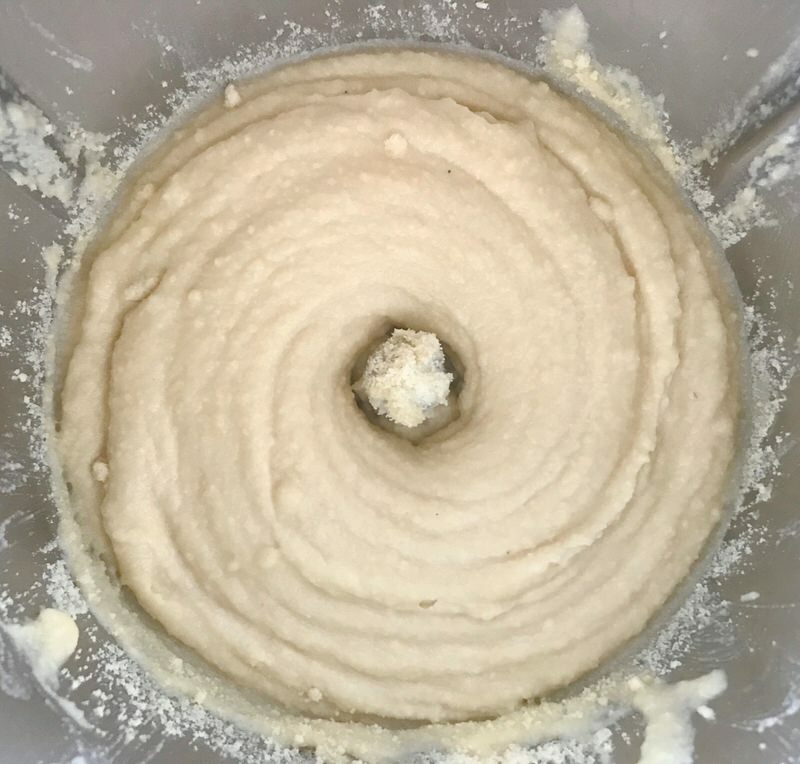 Slowly whisk to combine and a thick dough should result. I scraped down the sides of the bowl, above, right, and am ready for the next step. 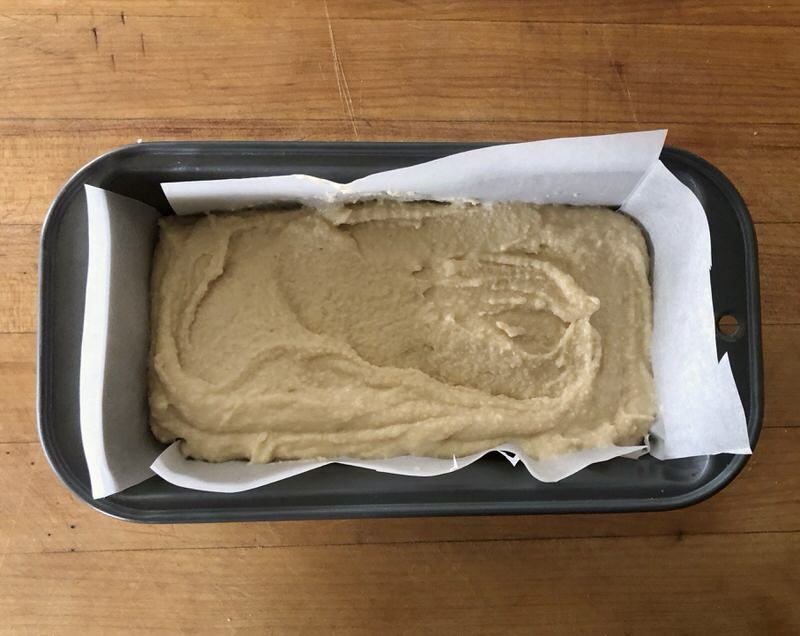 Place parchment into your loaf pan however it works for you. This is how I did it. 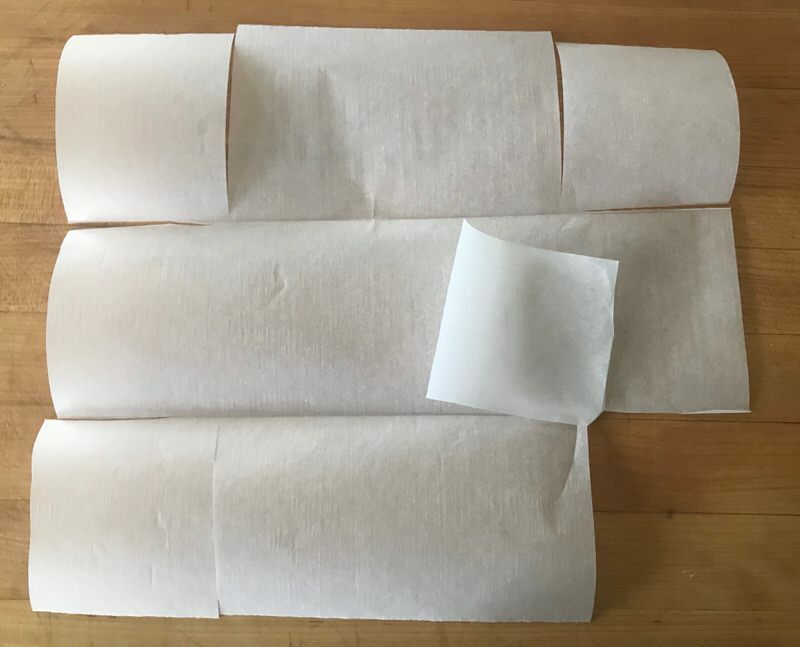 Above, left, folded the parchment in thirds to fit into the bottom of the pan and up the sides. 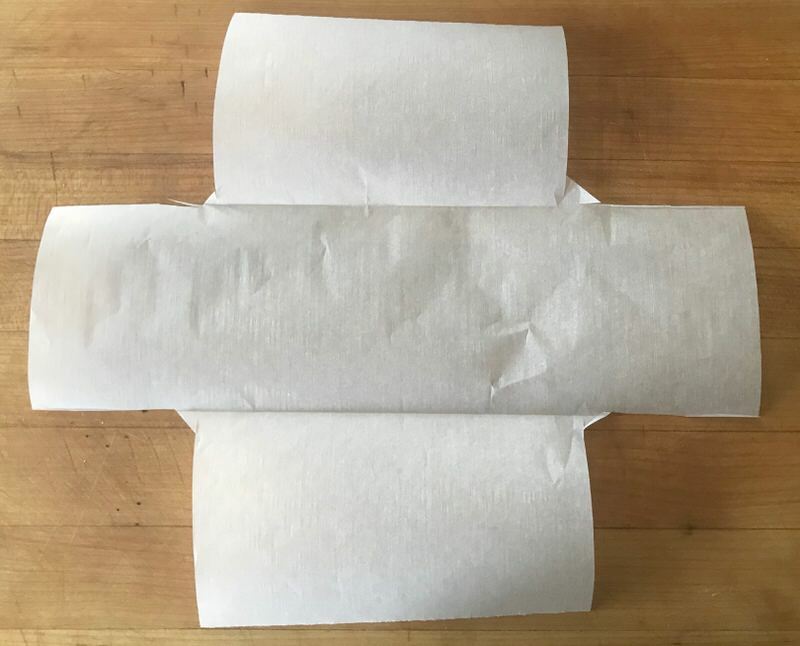 Above, middle, cut the parchment in right angles at all 4 corners to eliminate extra paper. And the last frame, right, cut off the corner squares. 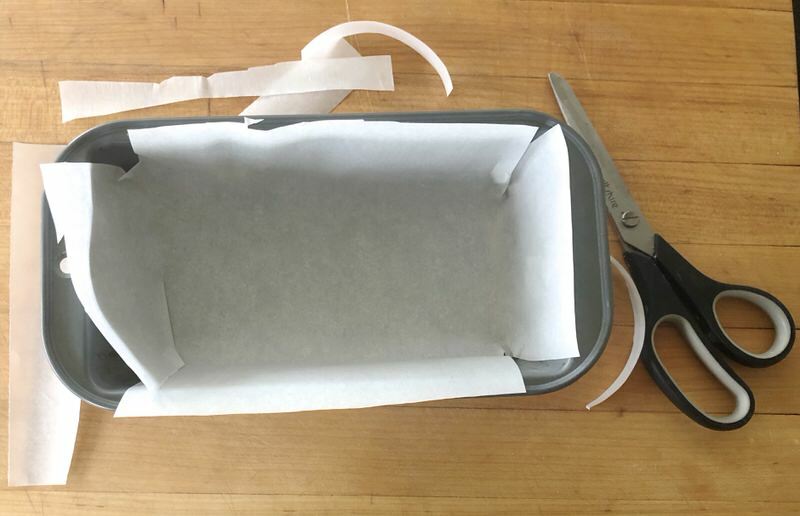 Place the parchment into the loaf pan, trim the paper height on the 4 sides and we’re now good to go. 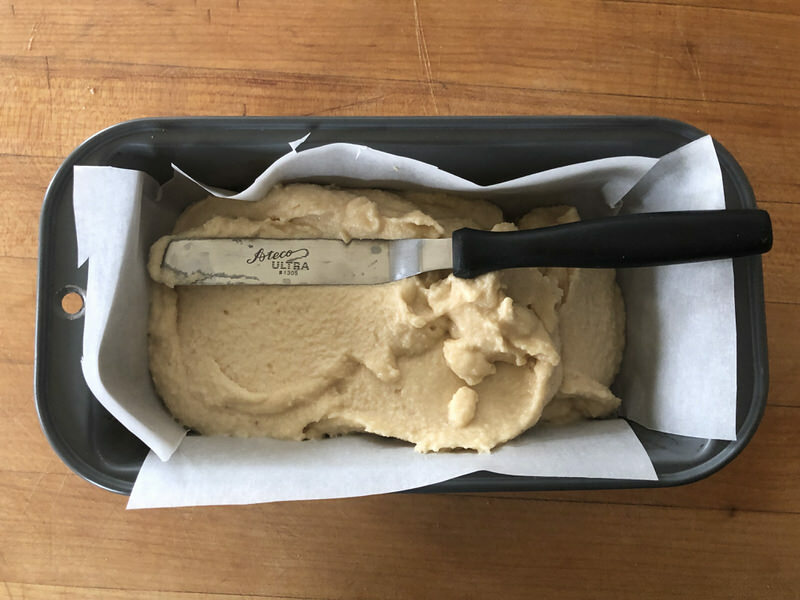 The keto almond bread dough is thick. Plop it into the prepared pan and smooth the surface before baking. Into the oven for about 40 minutes, until golden, and voilà! 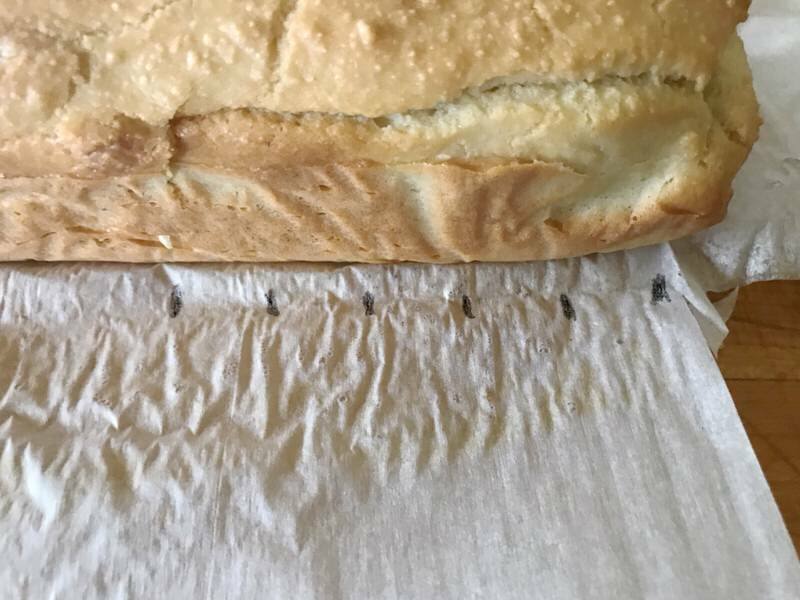 Looks a lot like bread to me! How many slices are in this loaf? The loaf weighs 540 grams. Portioning it into 10 slices would be easiest, so I marked off 5 even slices starting from the middle, above, and working to one end. Sliced the loaf in half. Weighed it again. Perfect! 270 grams per half! Then, I sliced 5 portions per half that were each close to 54 grams. Sampling a slice that is this dense in fat and protein is daunting. Ragan, my daughter, was baking with me this day, and we each tasted a corner of a slice slathered with butter. About one inch by 1/2 inch, each. Needed salt, but was so much better than either of us expected. The slice definitely needed company, though, to really be delicious. Slice of cheese and slices of tomato? That worked. Mighty tasty! Very filling…. 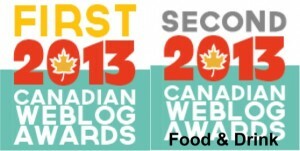 but the best? Well, you know already: topped with the tomato-basil-garlic bruschetta! YUM! We’ve had a whopping 4 meetings, but it is only January 19! 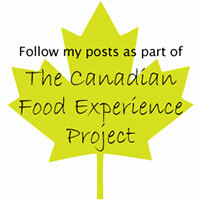 So far, feedback has been very positive. It is not easy. It is not hard. I have found that anything I undertake in life that really makes a difference takes determination, perseverance, consistency and a truckload of passion. 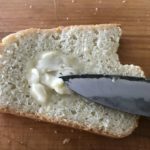 This Keto Almond Bread recipe definitely satisfies one’s bread cravings while on the first 28 days, or Phase 1 of Evolv Health Total Reboot. (scroll down)However, it is very important to consider your metabolism and activity level when considering this recipe for your program. 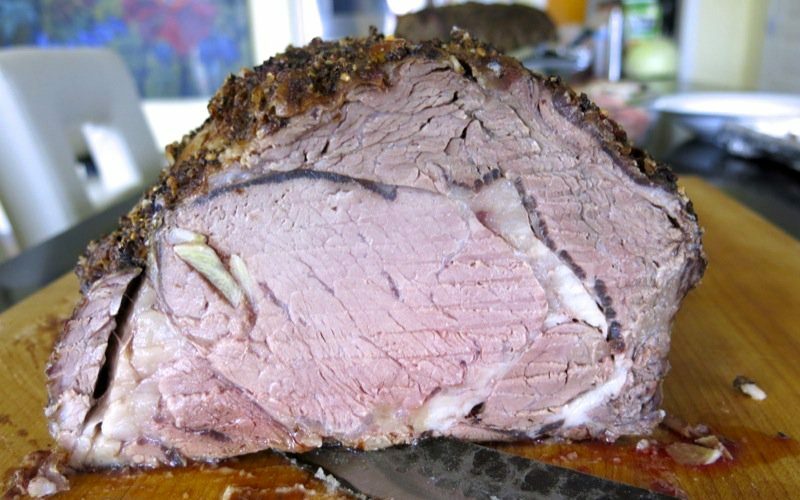 If you don’t have a large appetite, this is a great recipe. 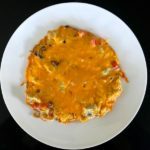 If you do have a sizeable appetite, this may not be the recipe for you as it contains 8 grams of protein, 20 grams of fat and 6 grams of carbohydrates with 226 calories making it equivalent to a fatty protein, really, which can put a huge dent in the allowable daily intake if you are one with a larger appetite. 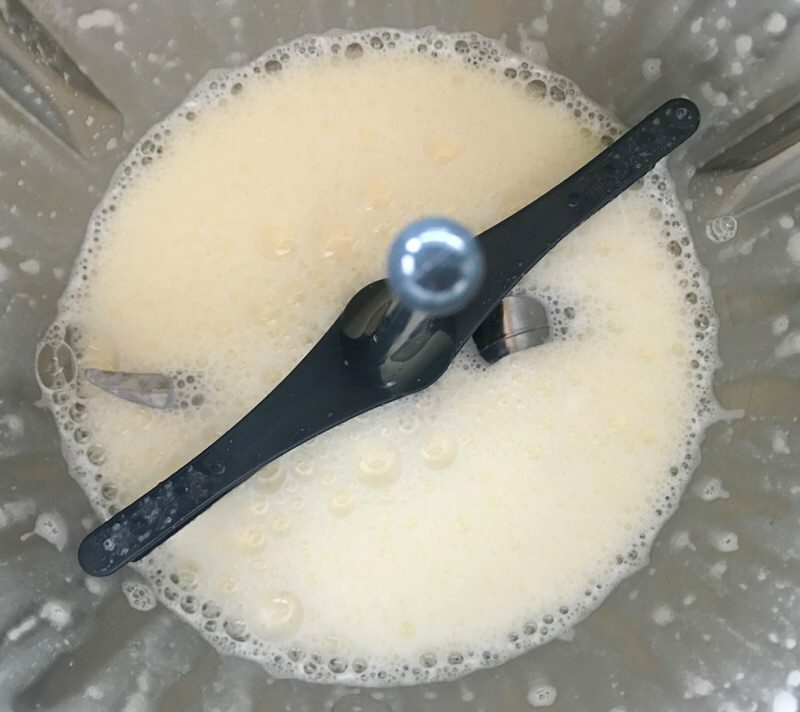 This recipe absolutely aligns with a way of eating that promotes optimal health for your body and the opportunity for it to return to its original fat burning state. 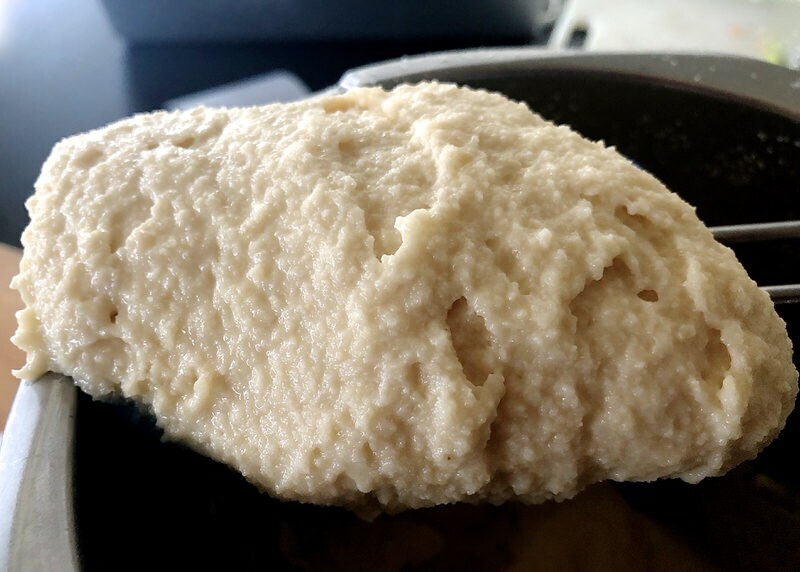 Simple, Delicious, Nutritious and Economical Food: This means easy to find ingredients, an “easy-to-make” recipe, tasty, nutritious (foods from the Total Reboot Phase 1 List) and economical (cost effective), though almond flour can be pricey, depending upon the almond crops. High in Fat and Low in Carbohydrate Foods: This can be determined by using My Fitness Pal and inputting a 25% Carbohydrate, 25% Protein and 50% Fat daily intake ratio coupled with a basic daily calorie intake that addresses your metabolic needs. 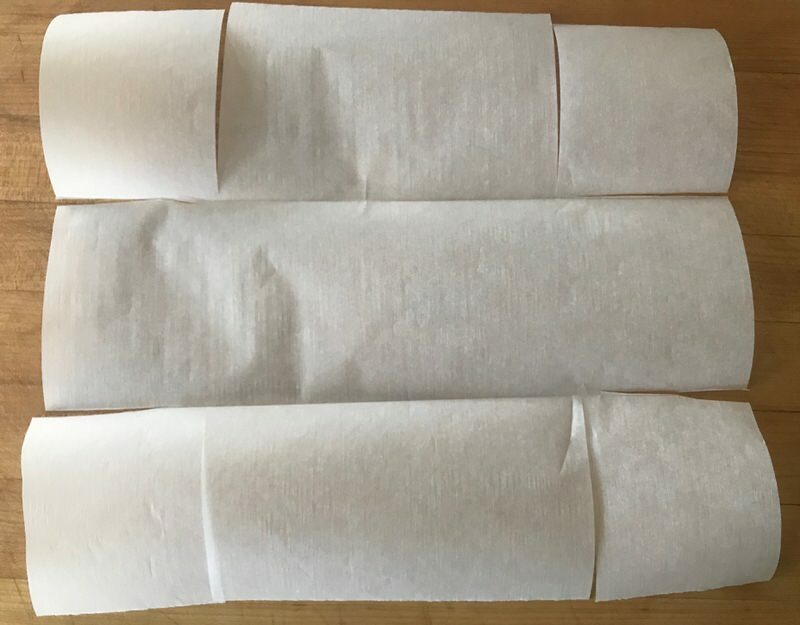 Whole Foods that are Healthy and Good for you: This means know-your-farmer, non-GMO and organic whole foods that are homemade unless you can be sure of the ingredients contained in what you purchase and only foods on the Total Reboot Phase 1 List allowed. 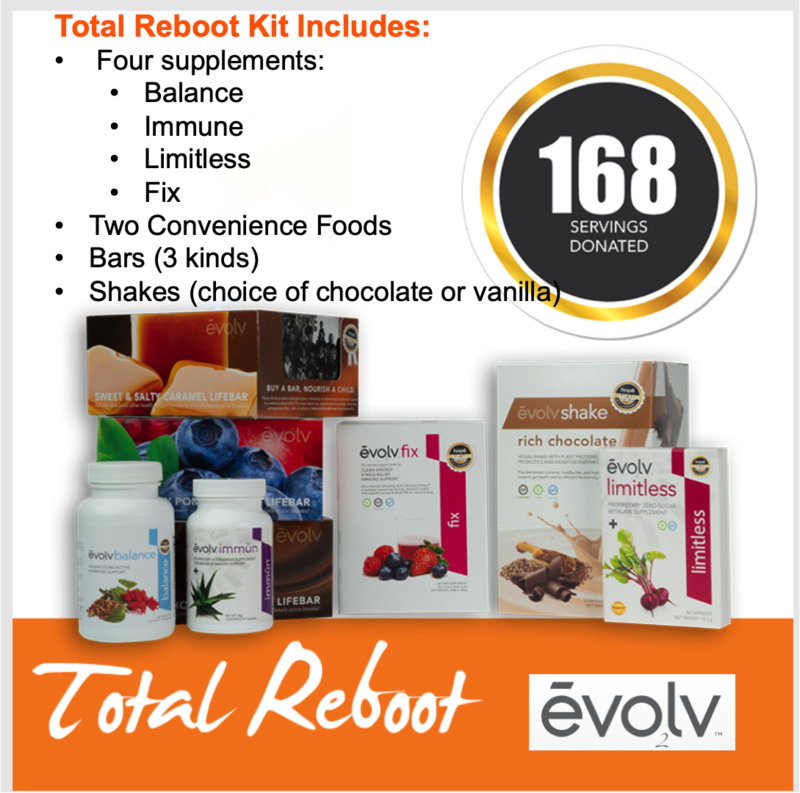 The Total Reboot your Gut Health 28 Day Plan Kit from Evolv Integrated Health is the program that I have been on since June of 2018. 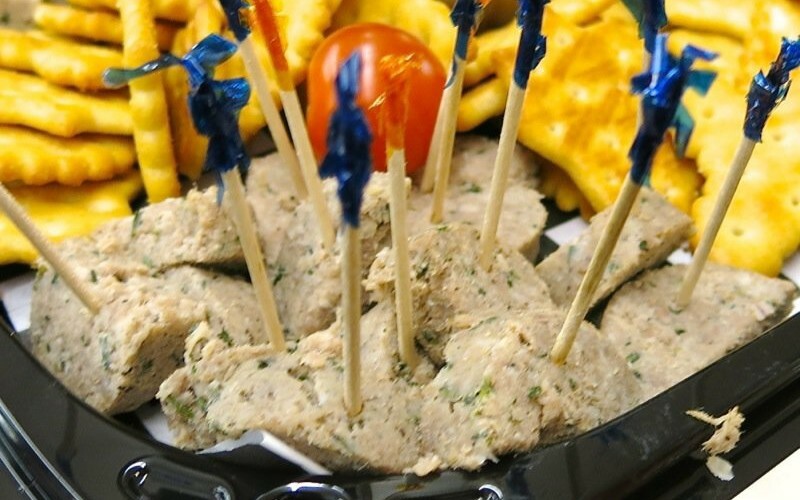 If you make this recipe, please share your experience in the comments section below. Or, if you have other favourite similar recipes that you believe would meet the requirements of the Total Reboot 28-day Health Plan, do tell! Obviously, compiling recipes for this program and working to change the way I think and eat is a process and I know there are many out there further along this journey than me! Chime in! 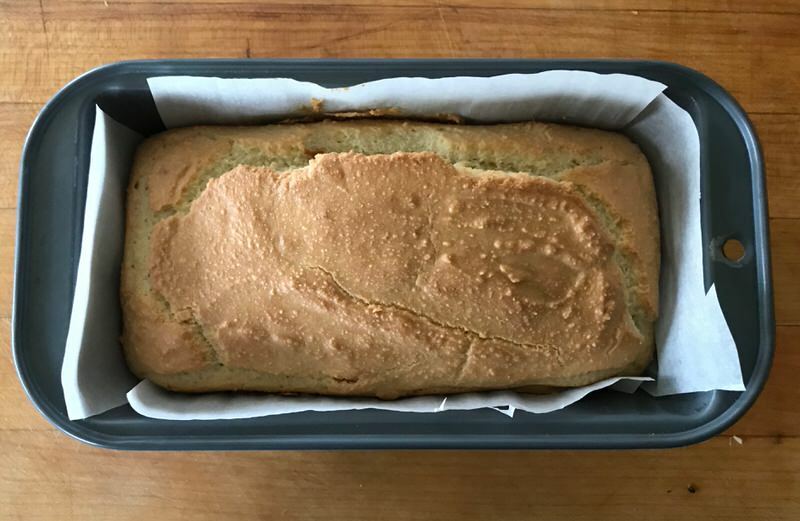 Almond Bread for Evolv Health Total Reboot (Gluten Free and Keto) provides 10 servings that completely satisfy that craving for bread. Per Slice: 226 calories, 20 grams of fat, 9 grams of protein and 5 grams of carbs. 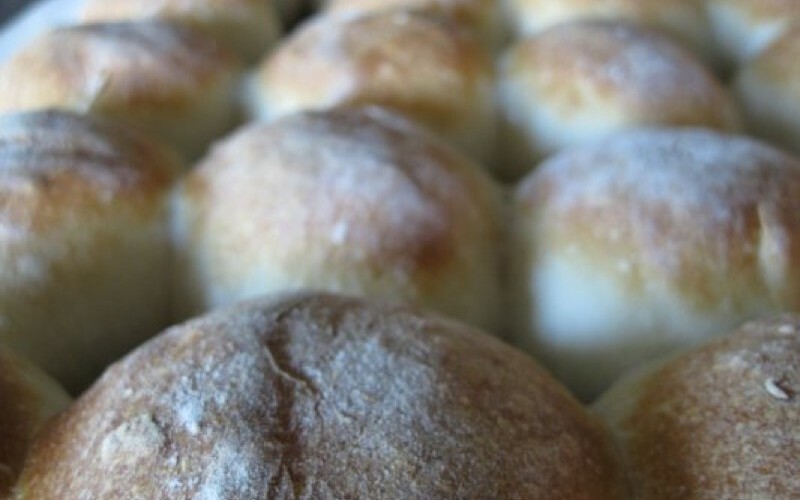 Loaf weighs 540 grams fully baked; 10 servings at 54 grams a serving and 226 calories per 54 gram slice. This was so delicious and deceiving as it is way more filling than I expected! Definitely has the feel of bread and the texture of loaf. 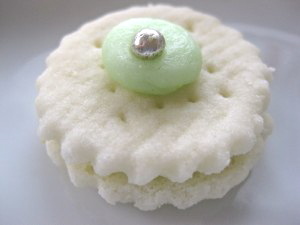 I will be making this again! Than you for the fun time making this with you! This looks amazing and I can totally see that it would satisfy my occasional craving for a nice piece of bread with my favourite cheese or some avocado, bruschetta etc. Thank you!! Thank you, Marcy! How sweet of you to take the time to leave a comment! As you likely know, so few do that these days! It means a lot! Let me know if you ever make it. A Facebook reader made it the same day I posted it and loved it. 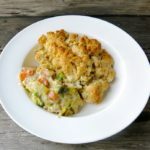 Yes, I sent him a message to let my readers know here, under the recipe, but I am just happy he loved it and that I can tell you he also succeeded! I did include the recipe for both ways, I believe. 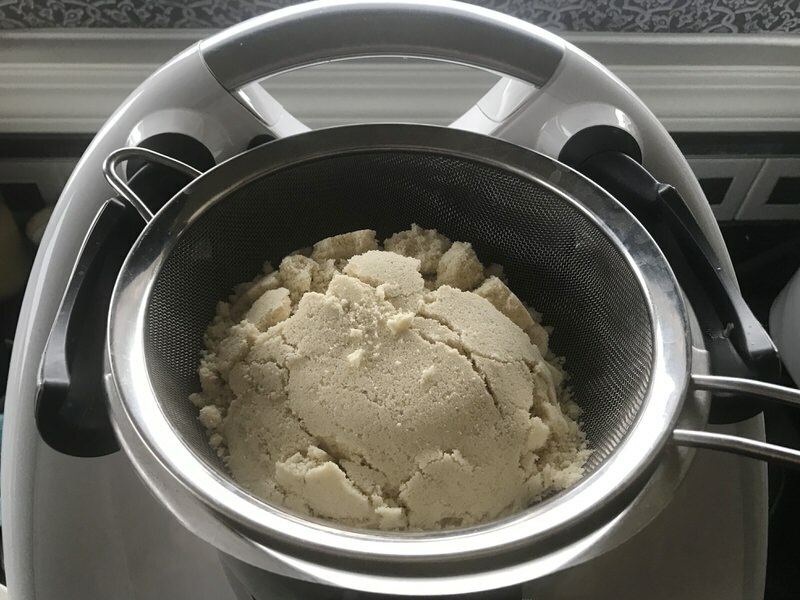 No one needs a Thermomix. 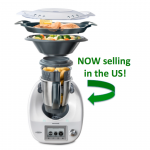 It is a huge convenience and a lovely machine. It is the same as no one needing a dishwasher or a mobile phone. It can absolutely be done without one.